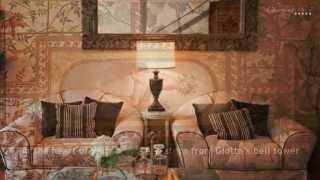 Visit this historic villa located right in the center of Ravello, one of the most popular travel destinations on the Amalfi Coast in southern Italy’s region of Campania. Situated right in the heart of Ravello just steps from the central Piazza Duomo, the Villa Rufolo is a lovely spot to escape from the summer crowds of tourists while savoring the beauty of the Amalfi Coast. 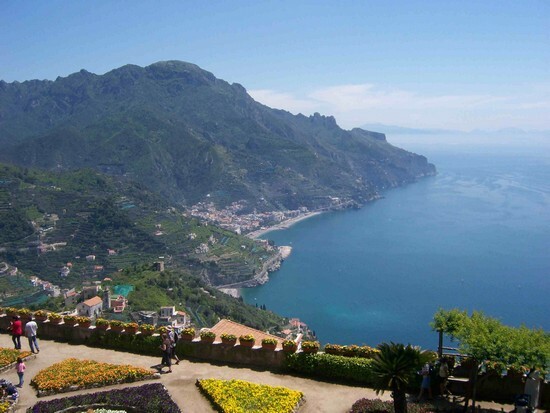 The small town of Ravello is located high in the mountains of the Amalfi Coast, with stunning views overlooking the coastline stretching toward Salerno and the beautiful blue bay. Along with the Villa Cimbrone in Ravello, the Villa Rufolo boasts some of the most scenic views of the Amalfi Coast. With a convenient central location in town, the Villa Rufolo offers visitors the chance to enjoy the fine views while experiencing the local history of Ravello. The Villa Rufolo and its beautiful gardens date back to the 13th-century, when they were built for the wealthy and prominent Rufolo family. 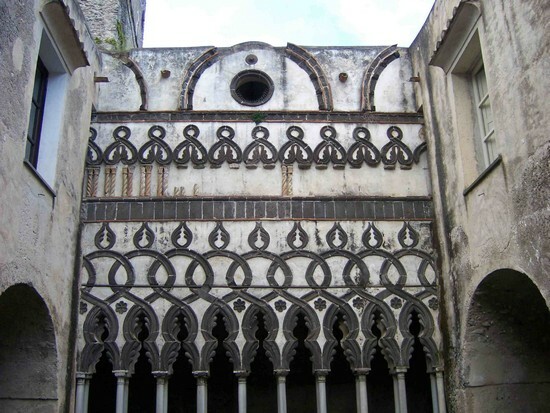 This family held court in their extensive villa, which at one point was noted as having “more rooms than there are days in a years.” The fate of the Rufolo family, like many wealthy merchant families, followed the ups and downs of the Republic of Amalfi. 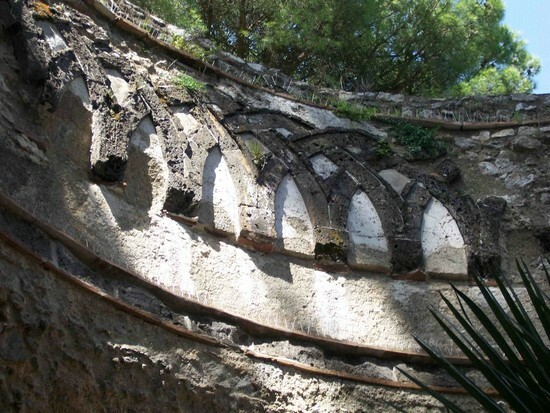 As the wealth of the family declined in the late Middle Ages, the villa was sold to other families in Ravello, and over the centuries many of the fine buildings fell into a date of disrepair. The Villa Rufolo was bought in the 19th century by the wealthy Scottish industrialist Francis Neville Reid, who restored and altered much of the villa. 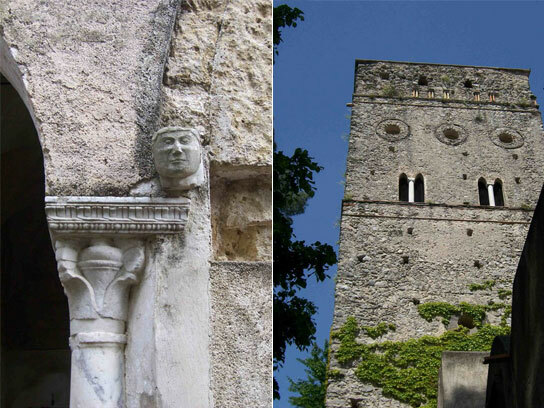 Fortunately, there are still many elements of the striking medieval architecture still to be seen while strolling through the gardens of the Villa Rufolo. The entrance to the Villa Rufolo is marked by a grand tower, the Torre d’Ingresso, which was built for its beauty and not for protection. The tower is Gothic in structure, and inside the domed roof you will see interlocking pointed arches. This is an architectural theme that continues throughout the Villa Rufolo, and is one of the many Arab and Sicilian influences you will see as you explore the grounds. Continuing down a wide, tree-lined walkway, you will soon find the main buildings of the Villa that houses a beautiful cloister. In the sections of the cloister that have been partially restored to reveal their medieval splendour, the Sicilian and Arab influence is undeniable. Above the flourishes of the arches you can see what remains of a frieze of spiral columns made of terracotta. Leaving the cloister and continuing through the gardens, you’ll soon spot the large Torre Maggiore tower. Nearly 100 feet tall (30 meters), this tower is one of the oldest surviving parts of the Villa Rufolo. Built at a time when architectural height meant power, this impressive tower indicates the prominence and wealth of the Rufolo family in the Middle Ages. As you walk through the gardens and explore the buildings from the outside, you’ll spot many architectural details dating from the original structures or incorporated into later restorations. Not far from the Torre Maggiore is a beautiful outdoor pavilion called the Sala dei Cavalieri. 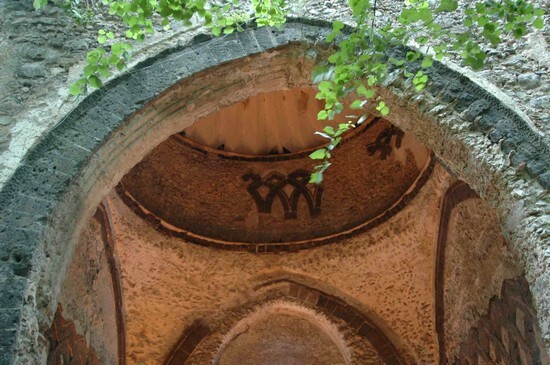 This round structure would originally have been connected to the Torre Maggiore by other buildings that have collapsed over the centuries, along with its domed roof. Along the top of the Sala dei Cavalieri, you’ll see spot the theme of interlacing arches again. This beautiful outdoor pavilion in used today as one of the settings for the Ravello Festival, a music, theater and dance festival that takes place each summer in Ravello. Many small concerts take place under the soaring pine trees in this peaceful setting in the Villa Rufolo. This is an ideal setting for musical performances, as it is said that the German composer Richard Wagner was so struck by the beauty of the Villa Rufolo gardens during his visit in 1880 that he used them as the inspiration for the magical garden of Klingsor in his opera Parsifal. 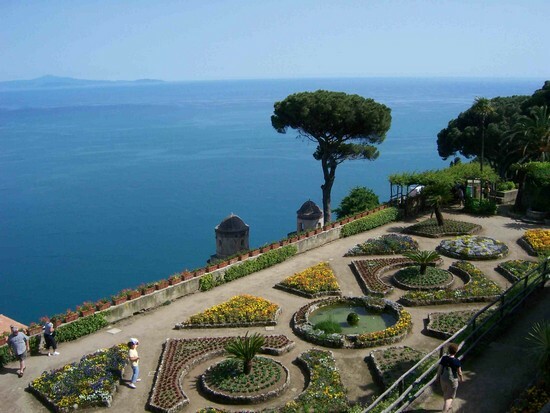 Following the pretty pathways through the gardens leads you to the famous Belvedere overlooking the Amalfi Coast. Enjoy the colorful flowers and stunning views looking down the coastline toward the seaside towns of Minori and Maiori. If you visit during the summer months, you’ll find a large stage constructed on the Belvedere where the main concerts of the Ravello Festival take place. 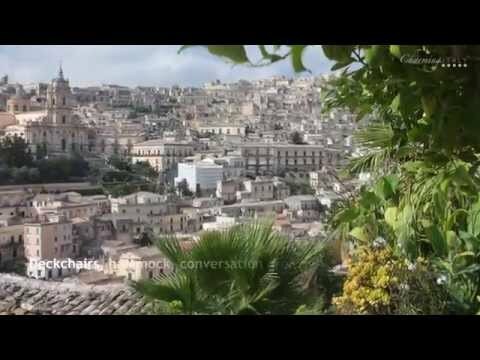 The Amalfi Coast forms a magical backdrop to performances by talented artists from around the world each summer. 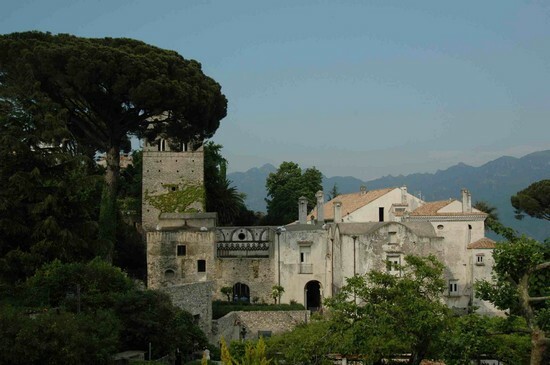 For 2011, the Ravello Festival will take place from July 8th to August 27th. If you visit the Amalfi Coast during this time, plan a trip to Ravello to experience the beautiful Villa Rufolo and a concert overlooking the Mediterranean Sea! 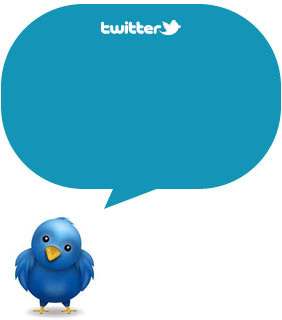 Follow us on Twitter and Facebook. Subscribe to our RSS and we'll keep you updated!